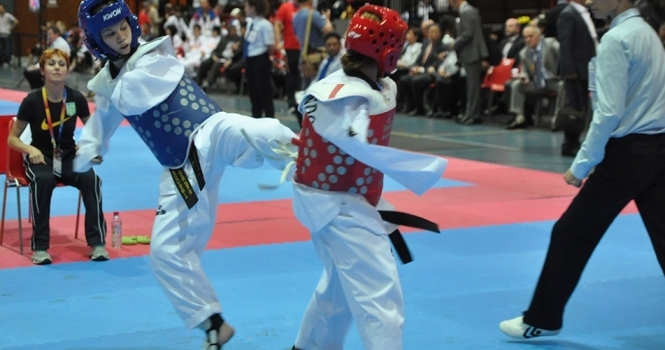 Next year's Canadian Para-Taekwondo Open will be the first to implement a new world rankings system for Para-taekwondo, it has been announced. 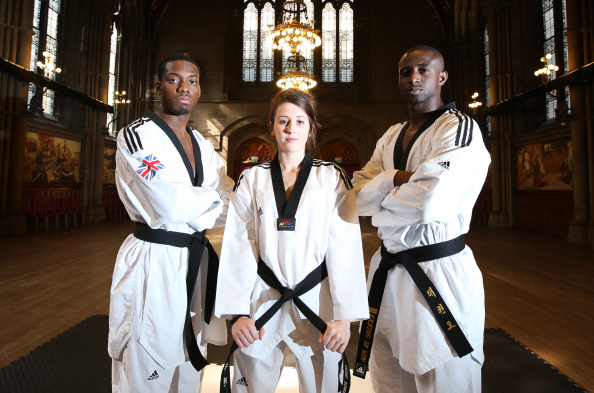 GB Taekwondo has launched a nationwide talent spotting initiative as it seeks new athletes to represent Britain at major international events, including the Rio 2016 Olympics. Russia beat hosts Mexico in the men's final here at the World Taekwondo Federation (WTF) World Cup Team Championships on a day initially marred by long delays due to technical problems with the electronic protection scoring system (PSS). There were mixed feelings for Mexico on day one of the World Taekwondo Federation (WTF) World Cup Taekwondo Team Championships here, as the host nation's men advanced to the semi-finals with their female counterparts missing out. 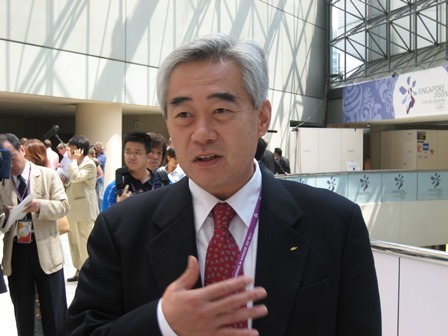 Chungwon Choue, President of the World Taekwondo Federation (WTF), claims the sport needs to continue to evolve in order to maintain its standing as one of the core Olympic disciplines. 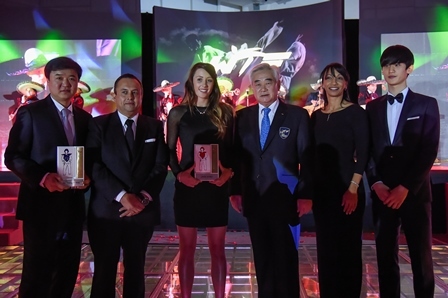 South Korea's Daehoon Lee and Great Britain's Jade Jones were crowned Male and Female Players of the Year at the inaugural World Taekwondo Federation (WTF) Gala Awards Dinner here tonight. 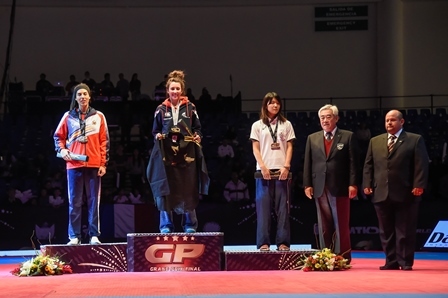 Great Britain's Jade Jones brought an end to her hoodoo against Spain's Eva Calvo Gomez to claim her first World Taekwondo Federation (WTF) Grand Prix title here at the 2014 Series finale. Sweden's Elin Johansson beat top ranked Haby Niare of France in the under 67 kilogram category here at the World Taekwondo Federation (WTF) Grand Prix final but she may have to wait a while longer before she can call herself number one. 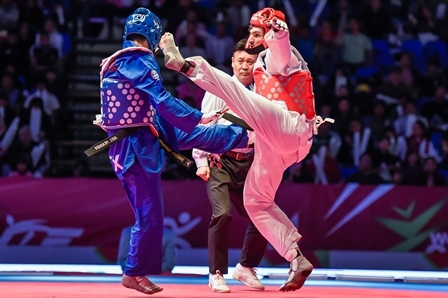 The World Taekwondo Federation (WTF) Grand Prix final is set to get underway in this Mexican city tomorrow as the top eight fighters across eight Olympic weight categories battle for gold medals. 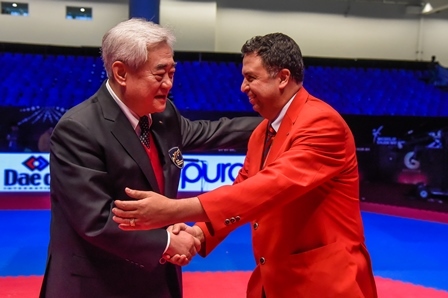 World Taekwondo Federation (WTF) President Chungwon Choue is hopeful Para-taekwondo will earn its place on the Tokyo 2020 Paralympic programme following the successful conclusion of the European Championships in Belek. 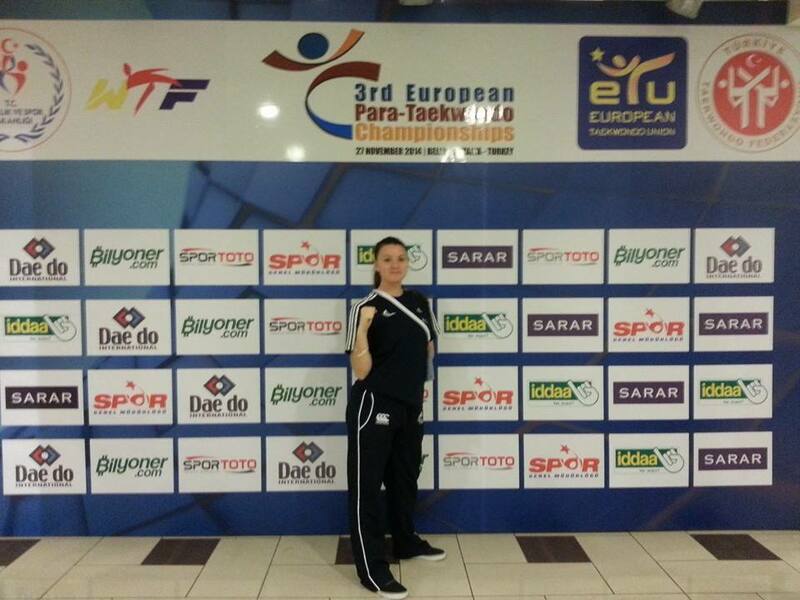 World and Commonwealth champion Amy Truesdale has added a another gold to her growing list of accolades as she continued her incredible season at the European Para-Taekwondo Championships in Belek. The Belgian National Taekwondo Union (UNBTU) has been suspended by the European Taekwondo Union (ETU) Council for gross violation of ETU and World Taekwondo Federation (WTF) statutes. 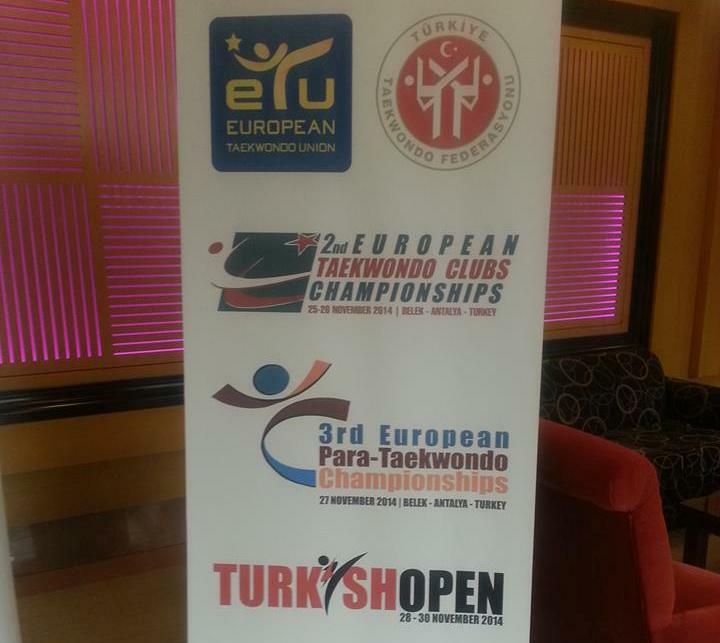 Final preparations for the third edition of the European Para-Taekwondo Championships are now underway as the continent's top Para-taekwondo stars get set to do battle in Antalya, Turkey. 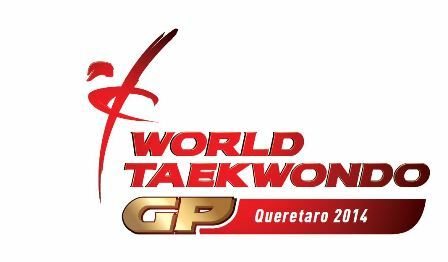 A total of eight Olympic champions will compete at the 2014 World Taekwondo Federation (WTF) Grand Prix final which is set to get underway next month in the Mexican city of Queretaro. 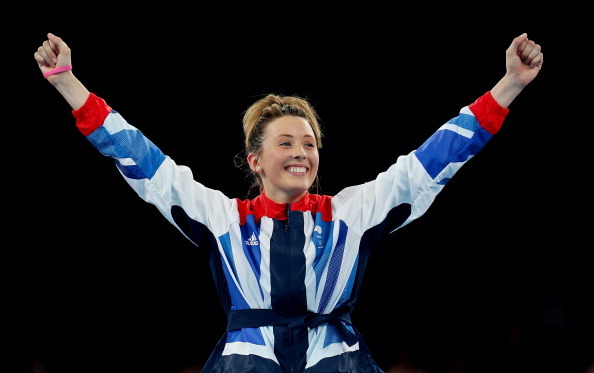 Olympic taekwondo champion Jade Jones has signed up with talent management company the M&C Saatchi Merlin agency, joining a roster which includes England football manager Roy Hodgson and former formula one world champion Nigel Mansell.